Unexpected giggles await with every page turn. 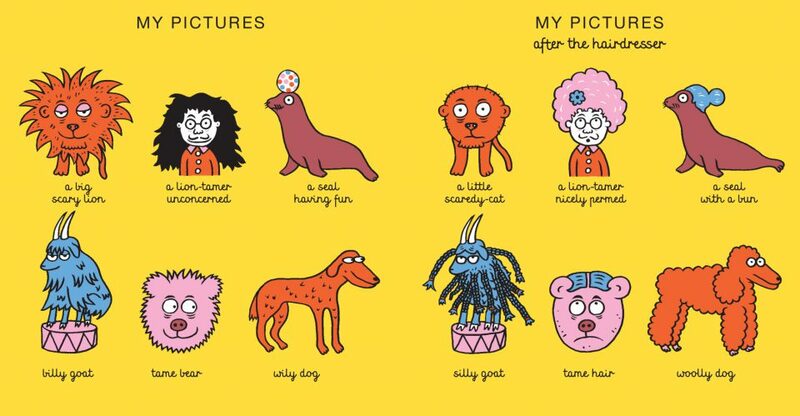 A funky little children’s book that takes the “before and after” concept to unexpected places. 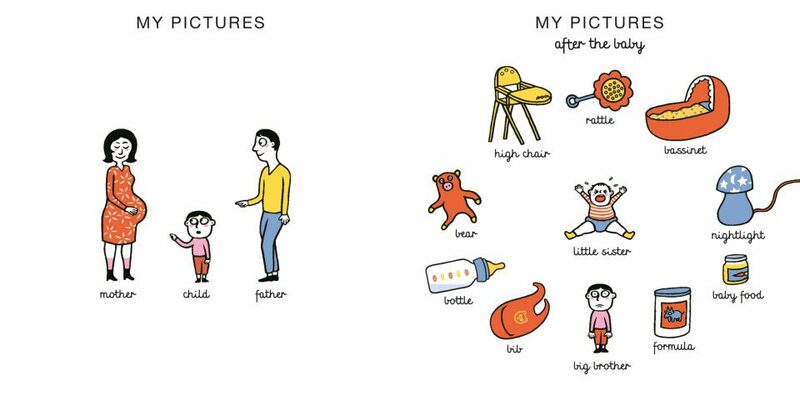 Much more than a concept book, this is a funny and wry look at the chaos of life before and after. My Pictures after the Storm will have you chuckling at the after-effects of a dive bomb, a hairdresser, a flu, and more. 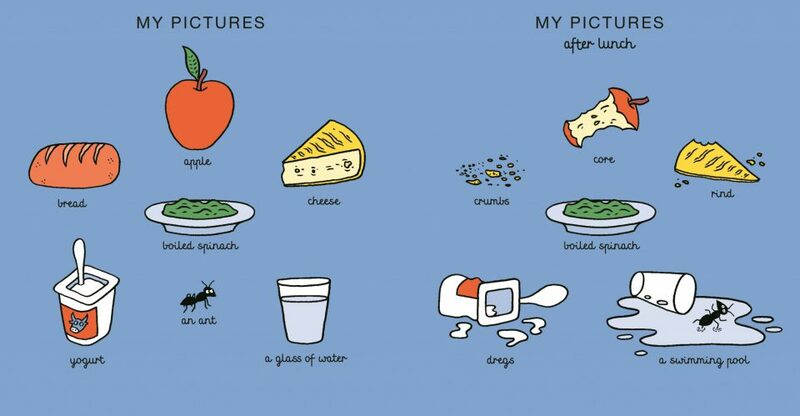 A brilliant before and after book! 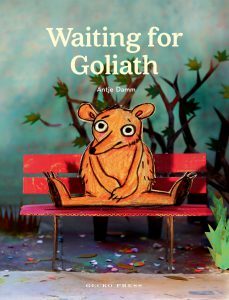 Eric Veille’s droll illustrations are vibrant and bold, and he leaves plenty of space for readers to interpret what’s happened in between. 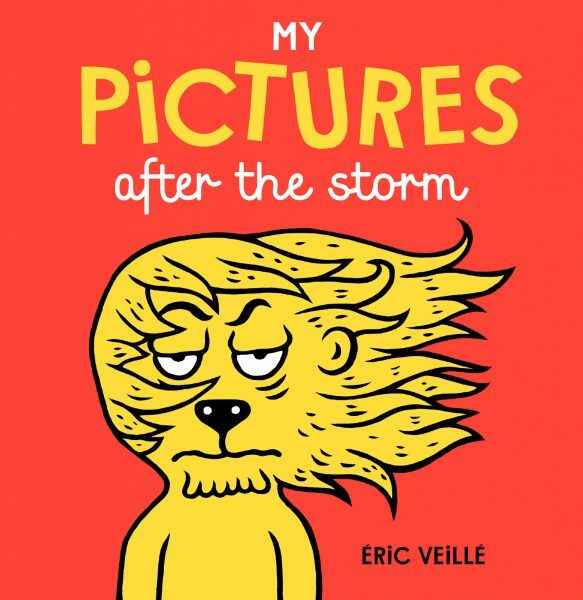 Eric Veille’s fertile imagination (and witty, pared-down illustrations) will have the adults laughing louder than the children. 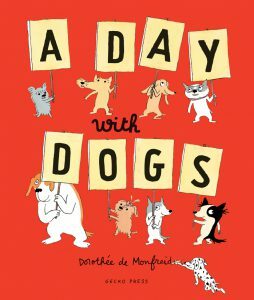 Clever, playful, with a mordant edge, this is sophisticated silliness in warm shades of red and yellow, asking sly questions about the relationship between words, pictures and meaning. 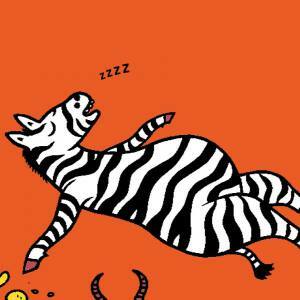 Clever, funny, and unfailingly entertaining from beginning to end. At turns sublime and ridiculous… This is a terrific little book that will amuse all out of proportion to its size. Every kindergarten classroom needs a copy for children to pick up and browse. There’s a lot to enjoy. Expect many laughs. There’s plenty of scope for discussion and lots of humour in the illustrations and text. The comical contrasts between the befores and the afters will elicit chuckles, and filling in the betweens can only add to the fun. Droll, imagination-stretching ways to get from here to there, from this to that, from now to later. Unbelievable! 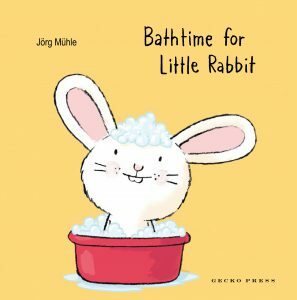 One of the best “children’s and adult” books ever!